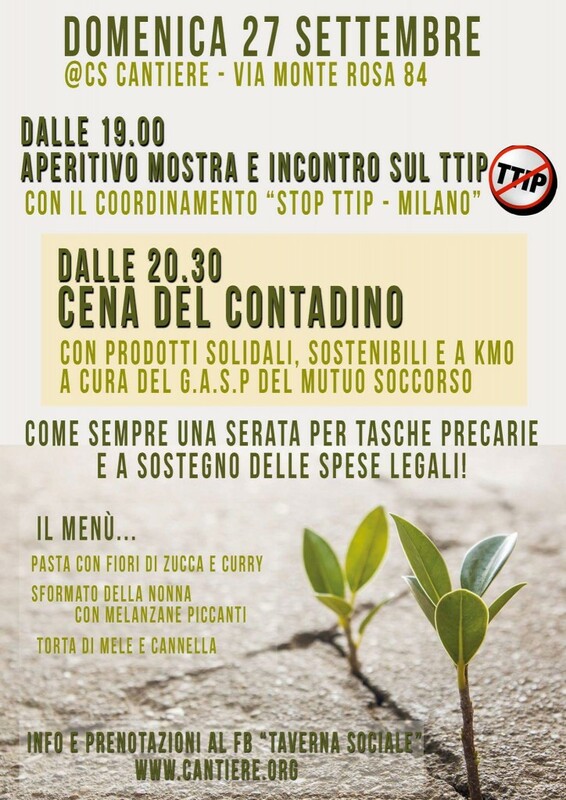 Posted on Settembre 24, 2015, in eventi and tagged cena stop ttip, cs cantiere, milano. Bookmark the permalink. Leave a Comment.